Midnight Sun is a strictly limited edition inspired by the Lapland summers when the sun never sets. The bright summer nights have a different kind of gentle light, which is sometimes referred to as "the golden light". 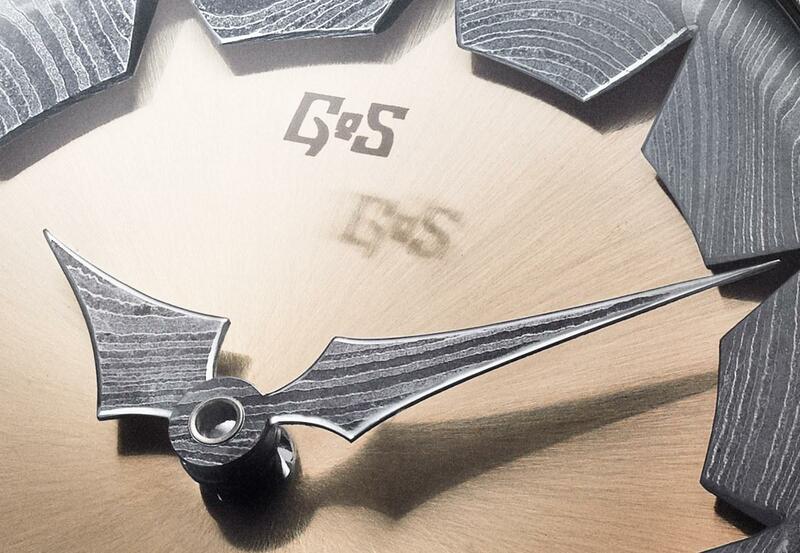 GoS has captured the golden light by using a solid gold dial and applying several steps of radial finishing to achieve the sunray effect. The abstract shape of the sun is captured in the damascus steel chapter ring. The chapter ring and the hands are made from Johan Gustafsson's handforged steel, which has been shaped, polished, etched and then beveled to create the rough patterned surface and sparkling beveled edges. 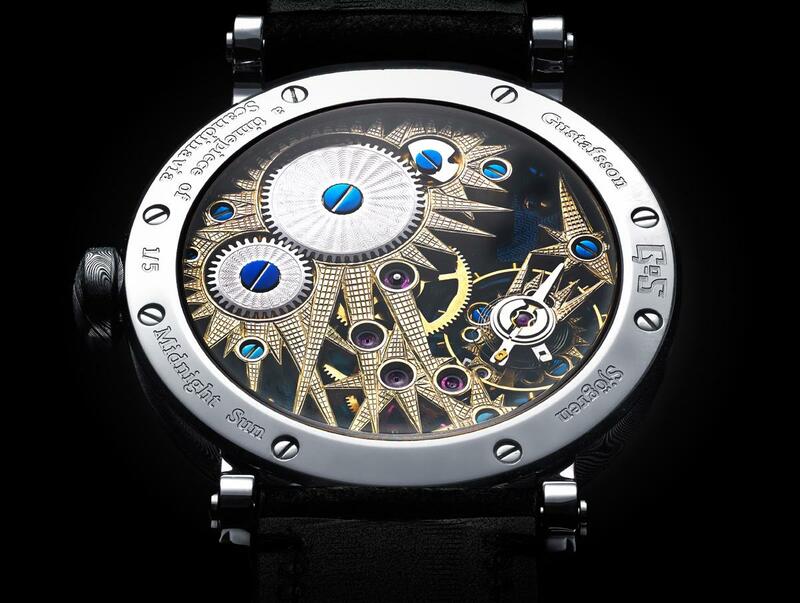 The Midnight Sun model is a collaboration between GoS Watches and master watchmaker Jochen Benzinger who has developed his own style in movement skeletonization. 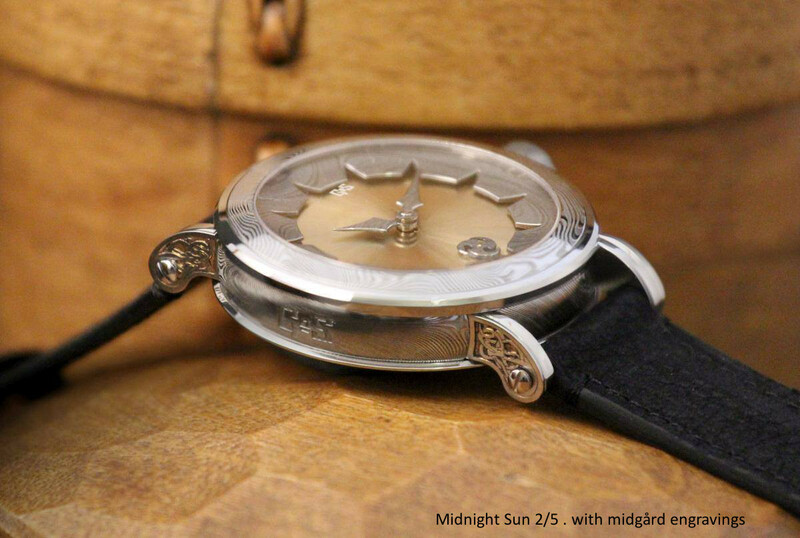 The chronometre grade 6498 movement has received a custom sunray-skeletonization to complement the Midnight Sun theme. The blued main plate and wheels also feature some of his beautiful guilloche work. The Midnight Sun is crafted from the same (stainless) damascus steel that was first featured in the Nordic Seasons series. The finishing work on the case has been further developed with Midnight Sun to increase contrasts in the damascus steel pattern. One unique feature of the GoS case is the larger diameter of the case back and bezels, which we use to highlight the curved surface of the damascus steel case core as the steel pattern is mirrored in the high gloss, polished finish. 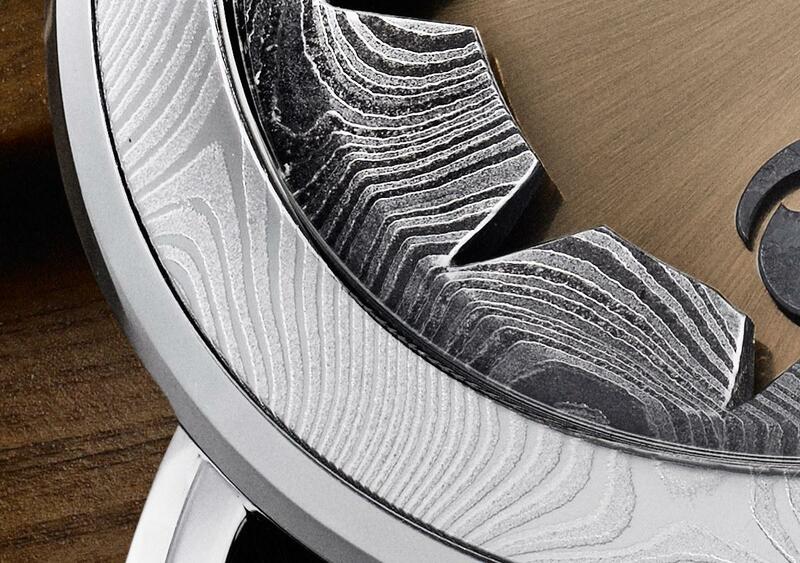 Another unique feature is the damascus steel bezel inset that frames the dial. 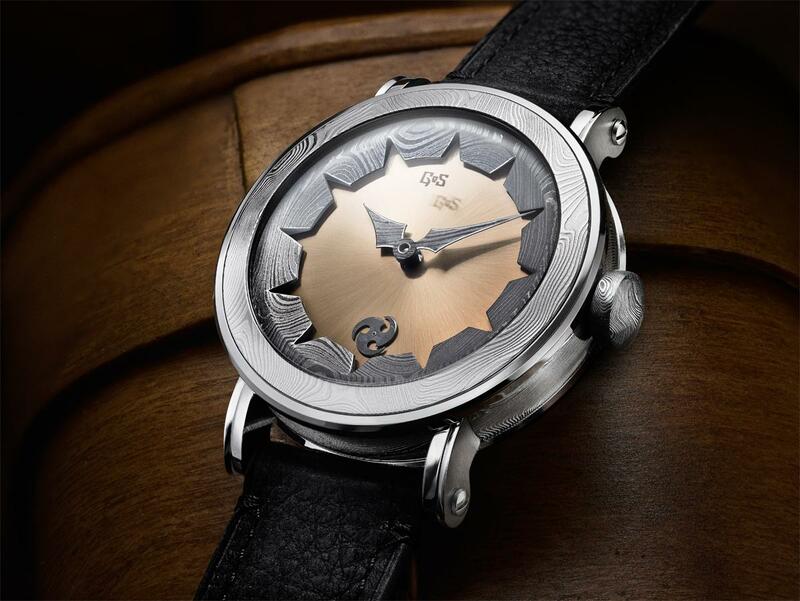 The trademark oversize crown in damascus steel has a larger diameter than previous GoS models but the height has been reduced to increase overall wearability as the case core is 45mm. The hands of the Midnight Sun are made in damascus steel and have the GoS sword shape that premiered in the Stockholm model. All hands and index rings are hand finished with polished bevels. Making damascus steel parts in this reduced scale requires different qualities from the steel than when its used in knives. 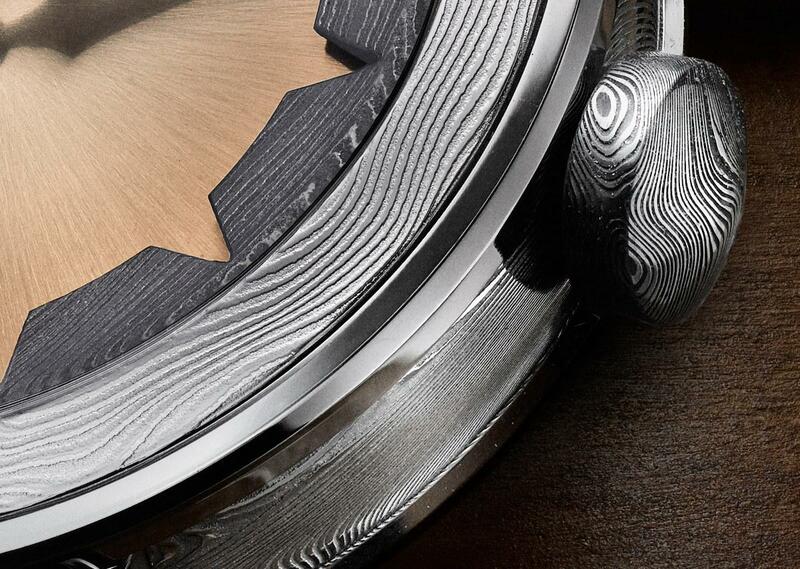 The damascus steel of watch hands requires the pattern to be very sharp and rich of contrasts to be at all visible. The Midnight Sun comes with a strap in soft, black nubuck. The matte surface of the straps blends well with the damascus steel finish of the case These handmade GoS straps are fitted with screwed lugs and are paired with a stainless steel GoS buckle. The 5 piece limited edition has been sold out. We can produce a similar watch as a customization on order.